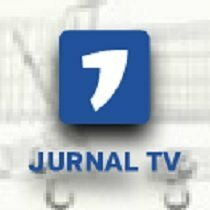 General TV Channel / Jurnal TV represents a general TV channel from the Republic of Moldova, launched in 2009 on Internet and in 2010 in ether, which transmits in Romanian and partially in Russian. Initially it was created to be the first news television of Republic of Moldova. But on 5 March 2011 it was transformed into a general television. In present, the TV program contains news journals on certain hours during the day, political/social/entertaining shows and talk-shows, movies, TV series, cartoons dubbed in Romanian or Russian, all of them being broadcast with a proper license, condemning the piracy. Also, Jurnal TV takes part in the social life of the country, launching social successful campaigns.